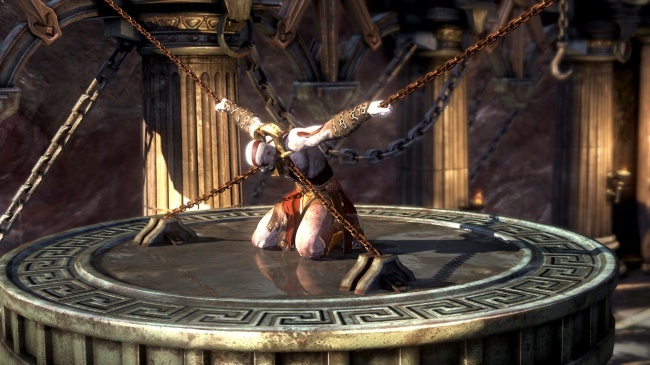 Kratos, of God of War fame, takes us along on his journey to harm the gods. He'll probably kill whatever moves when he's on the warpath so don't expect leniency when you meet him. You don't know if he just got done fighting the god of war, and you wouldn't want to deal with him because he gets awfully riled up after a fight.